He was born in Prague, into a family with a distinguished cultural background. International performer, he is the winner of the Anglo-Czech Competition in London. He was a fellow of the Czech Music Foundation (ČHF) in the 2001 and 2002 for the interpretation of contemporary Czech composers. František Brikcius plays a "George Kriwalski" cello made in 1904. Peter Bruns has performed as soloist and chamber musician in renowned concert halls throughout all continents. The artist has also performed as soloist with many major orchestras. Since 2005 he is professor at the Academy of Music in Leipzig. Peter Bruns is Artistic Director of the Mendelssohn Kammerorchester Leipzig since 2014, and performs regularly in its own concert series in the Gewandhaus Leipzig as well as on tours. Disciple of Maurice Gendron, she performed as soloist in the world’s most prestigious concert halls with Paillard Chamber Orchestra and she also shared the stage with many artists such as Catherine Collard, Jean-Claude Van den Eyden, Romano Pallottini, Bruno Rigutto, Pierre Fouchenneret, Jérôme Pernoo, Radu Blidar, Jean-Marc Philipps, Birgitte Stærnes, Sandra Chamoux and many others. 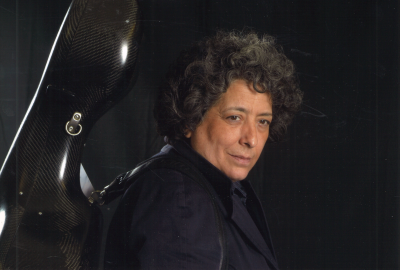 She is regularly invited to perform and to give Masterclasses in internationals festivals, member of Trio Ars Longa and Cello Professor at several institutions: Conservatoire de Région de Paris, Ecole Normale de Musique in Paris and Royal College of Music in London. Under the constant tutelage of M. Rostropovich, he began his musical path at the Saint-Petersburg College of Music and received 24 awards for participation in various music competitions. He performed at various festivals in the most prestigious concert halls, including Carnegie Hall in New York, the Berlin Philharmonic, St. Martin-in-the-Fields in London, with some of the best musicians of our time Viktor Tretyakov and David Geringas. He plays the cello owned to the fund Charles Francois Gand (Paris 1842), the M.Rostropovich's cello and also the cello of the last Russian Tsar Nicolas II. Prize winner at the Lutoslawski Competition in Warsaw, Antonio Janigro Contest in Zagreb, International Geneva Cello Competition and winner of the Valentino Bucchi Contest of Rome subsequently. He has widely performed both as a soloist and as a chamber musician at many prestigious venues and member of the Altenberg Trio Vienna. Alexander Gebert gives numerous masterclasses internationally, and teaches regularly in Austria, Finland, Slovenia and Poland. Professor at the Hochschule fur Musik Detmold. 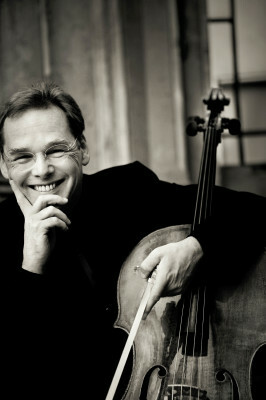 Principal cellist of the Royal Concertgebouw Orchestra in 1997. As the winner of the 1988 Pierre Fournier Award in London, Horsch gave numerous recitals throughout the UK and made various radio recordings for the BBC. 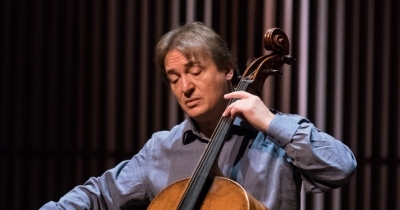 He was also a prizewinner at the 1989 Scheveningen International Music Competition and at the 1990 Gaspar Cassadó cello competition in Florence. 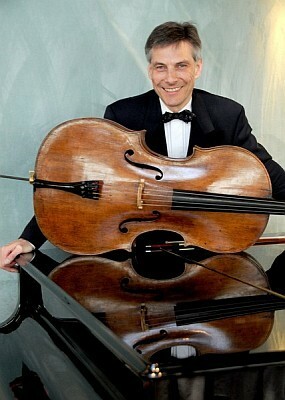 Professor of cello and chamber music at Kronberg Academy’s Emanuel Feuermann Conservatory since 2008. In 2013 he became the Conservatory’s Artistic Director. Professor at Frankfurt University of Music and Performing Arts since the winter semester 2011/2012. 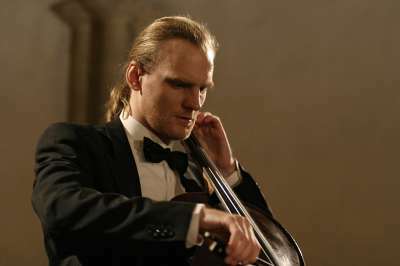 Since 2016 he has also had a contract to teach cello at Mannheim University of Music. His students have won many awards at national and international competitions and have been appointed to positions in renowned orchestras. 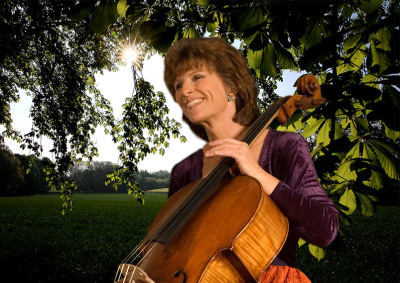 Maria Kliegel - La Cellissima - won, amongst others, the 1st Gran Prix of the "Concours Rostropowitsch, Paris" in 1981. Frequent honors including 2 Grammy nominations. Since 1986 she has been professor at the Cologne Academy of Music. Prize winner at the Tchaikovsky Competition in Moscow as well as at the Rostropovitch Competition in Paris and, in 1996, he won the Pretoria Competition. 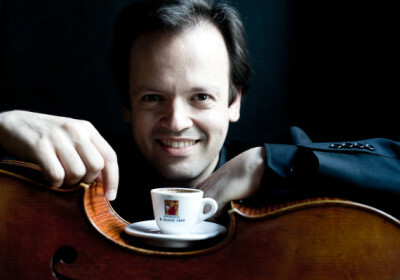 Jérôme Pernoo has performed with most of the major symphony orchestras and on some of the world’s most renowned stages. He is founder and artistic director of the music festival Les vacances de Monsieur Haydn in La Roche Posay, which first edition took place in September 2005. He performs as soloist and chamber musician throughout the world, with musicians such as András Schiff, Miriam Fried, Isabelle Faust, Menahem Pressler, Midori and many others, at festivals including the Salzburg Festival and Marlboro Festival in the US, and with composers such as Heinz Holliger and György Kurtág. 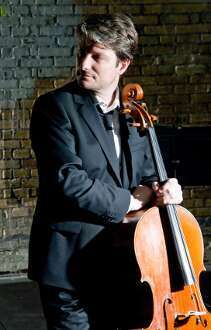 Professor of cello at the Folkwang University in Essen, Germany, and the Royal Academy of Music in London. First prize at the Geneva International Music Competition. Solo cellist of Zurich’s Tonhalle Orchestra. 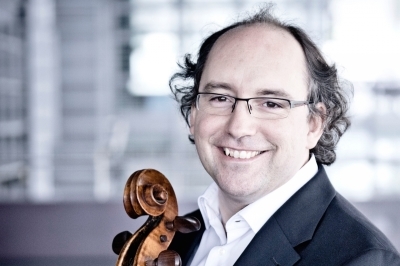 As a member of the Merel Quartet, Rafael Rosenfeld appears regularly at major concert venues. He has been the chamber music partner of András Schiff, Heinz Holliger, Joshua Bell, Alexander Lonquich, Nobuko Imai, Tabea Zimmermann, Dénes Várjon and Daniel Phillips, among others. He is also a member of the Lucernefestival Orchestra with Claudio Abbado and the Cappella Andrea Barca with András Schiff. 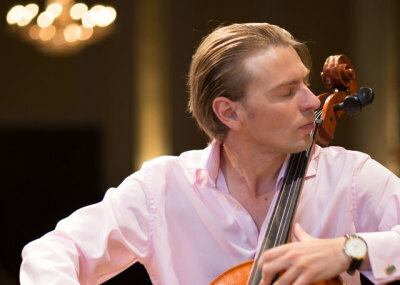 Since 2005 he is Professor for Cello at the Hochschule für Musik in Basel. Has performed with the most prestigious orchestras and has worked with Christoph Eschenbach, Christoph von Dohnanyi, Gidor Kremer, Yuri Bashmet, Andras Schiff, Sir Neville Marriner, Steven Isserlis and Christian Tetzlaff. 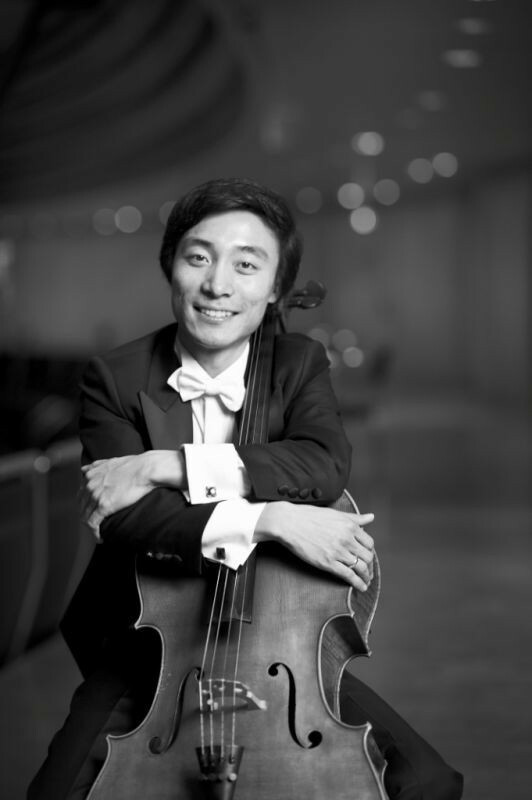 Principal Cellist at the Gürzenich Orchestra Cologne Philharmonic, Cello Faculty at the Hochschule für Musik und Darstellende Kunst in Frankfurt am Main, and Guest Professor at Central Conservatory of Music Beijing China. 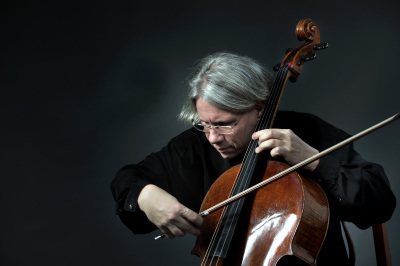 Cello professor at the Hanover Music Academy, he serves as a jury member in international cello competitions as the Lutoslawsky Cello Competition, the Instrumental Competition in Markneukirchen or the International Hindemith Competition. Performed with Claudio Abbado, Herbert von Karajan, Wolfgang Sawallisch, Sir Georg Solti, Rudolf Buchbinder, Pascal Devoyon, etc...His debuts were also memorable occasions, as at the Salzburg Festival and the Berlin Festival under the the invitation of Claudio Abbado.